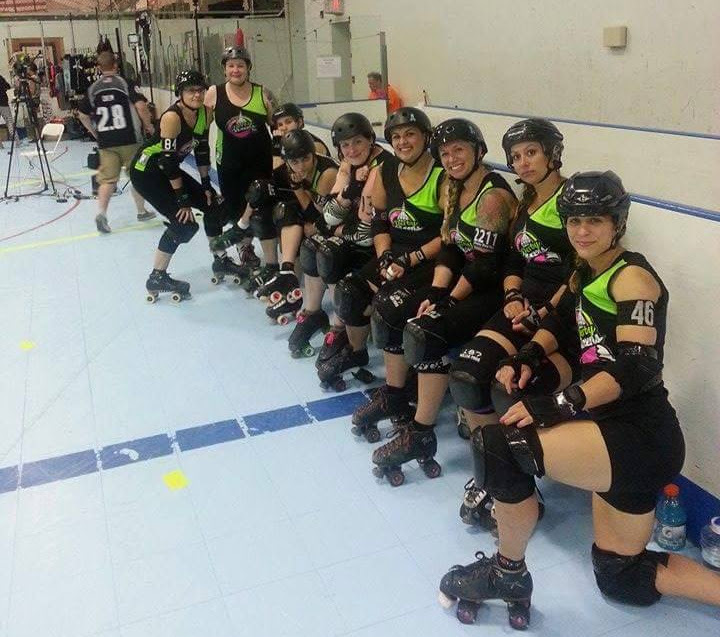 The Lansing Derby Vixens (LDV) All-Stars were invited to participate in their first invitational at the Philly Roller Girl’s 2015 East Coast Derby Extravaganza (ECDX) in mid-June. ECDX has a little mix of everything: Junior roller derby; Women’s Flat Track Derby Association (WFTDA) sanctioned games; Men’s Roller Derby Association Sanctioned Games; Serious Challenge games; and of course some fun challenge games. LDV played three opponents from across the East Coast: Garden State (New Jersey), Providence (Rhode Island), and Hudson Valley (New York). LDV played two of the closest games of the league’s history, they both came down to the last jam. There was also a lot of fun to be had off the track; Vixens played in the pool, did tourist-y things, met derby idols and made some new friends. LDV’s performance solidified the league’s placement in the top 100 at the end of the WFTDA season. ◂ LDV Ref Standard Steviation at RollerCon!